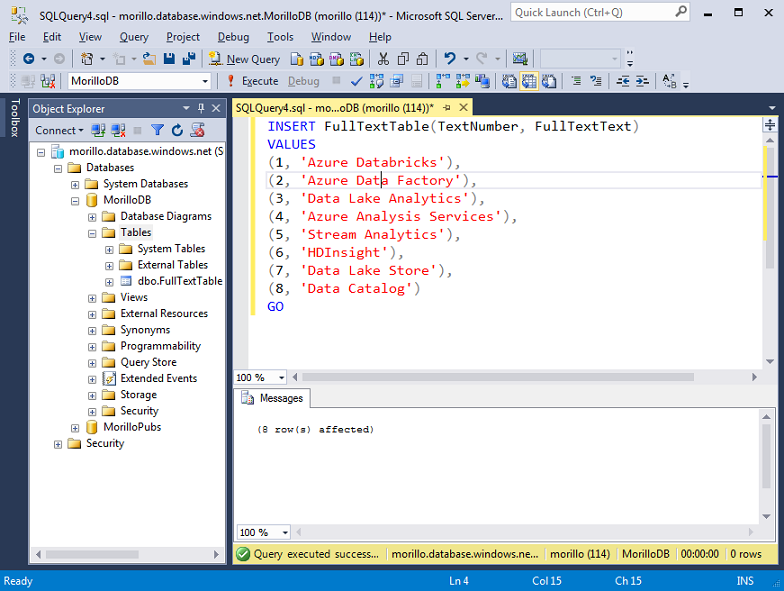 Using Full-Text Search with Azure SQL Database. Date created: April 30, 2018. 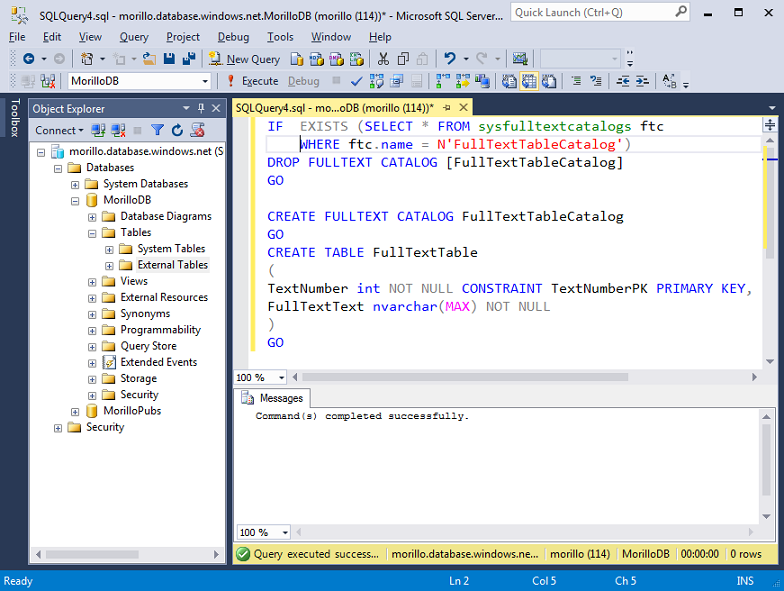 Let's show how to make use of Full-Text Search on Azure SQL Database. First let's create a Full-Text Catalog that will contain a full-text index we will create later. After creating the full-text catalog, we will create a table with a nvarchar(max) column which will be part of the mentioned full-text index. 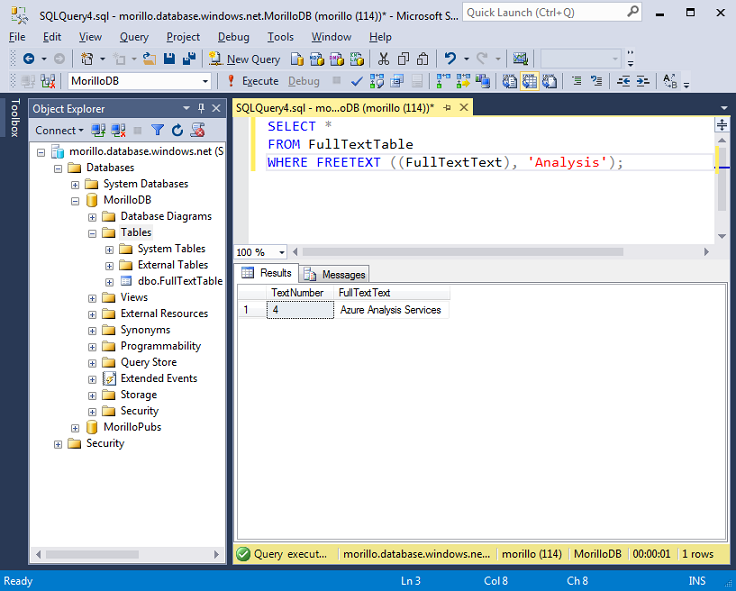 Next, we need to add some data to the newly created table. 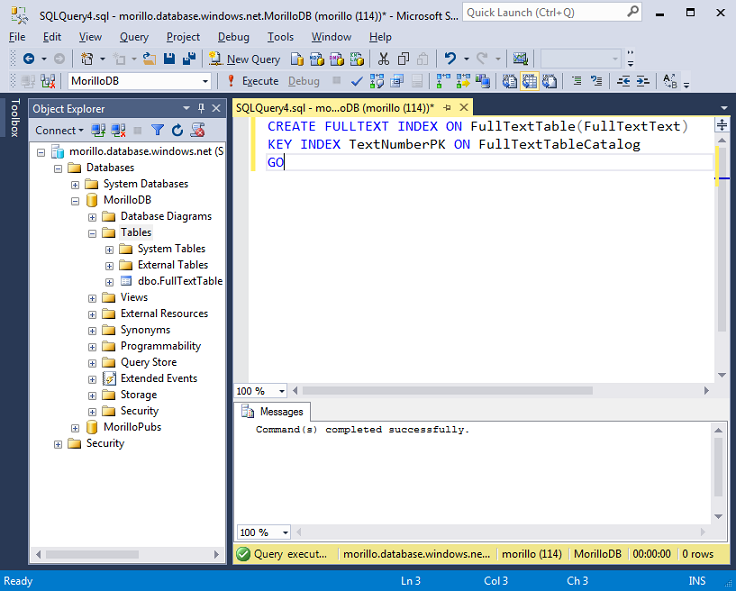 Now, let's create a full-text index on the nvarchar(max) column of the table. Next an example of how to use the CONTAINS predicate to perform very precise full-text queries. Using FREETEXT to perform full-text searches means that wildcards and keywords have no meaning. On below image we are using the CONTAINS predicate with the * wildcard (meaning all text starting with the term "Analy") and using the keyword OR also. So the query below is searching for all text starting with "Analy" or having the word "Data".